Green-and-cream ceramic dish is beautifully detailed with dimensional Celtic knots, swirls, raised dots and letters. Finished with decorated handles and a high-gloss glaze, it's oven and dishwasher safe. 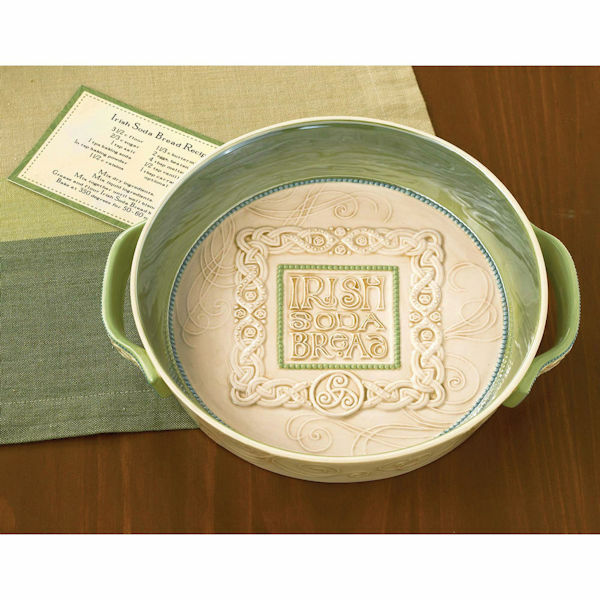 Comes with a delicious recipe for traditional Irish soda bread. 9" diameter (10 1/2" wide at handles), 2" deep. Gift boxed.